Meal kit subscription service startup, Blue Apron went public on the New York Stock Exchange, raising an additional $300M in its initial public offering. The company now trades under the ticket “APRN”. Initially the company’s bookrunners had priced the company at $15-$17 a share for the offering but then paired back on that and the shares were reduced to $10 at the opening. The company is currently trading at a $1.8B market cap. 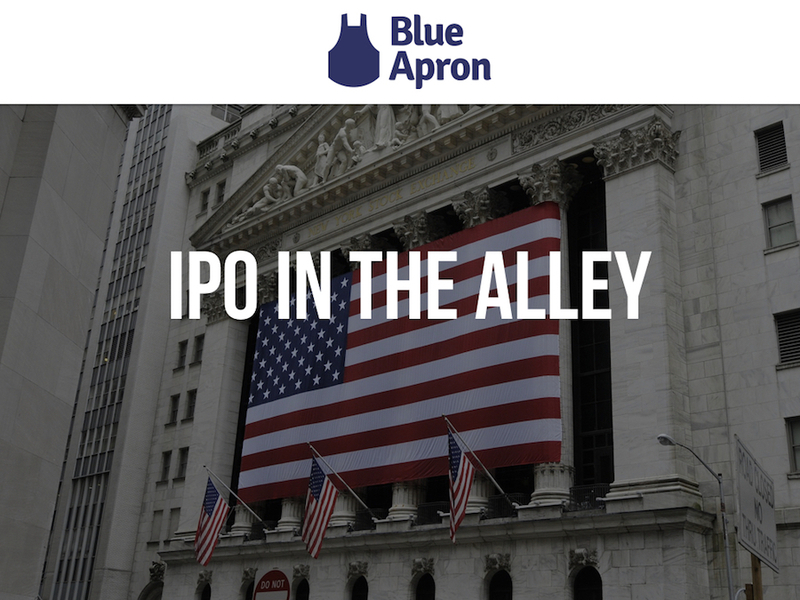 Blue Apron founded in 2012, originally named Petridish Media, by Ilia Papas, Matt Salzberg, Matthew Wadiak had raised $193.8M across 5 rounds from investors that include Bessemer Venture Partners, Fidelity Investments, Stripes Group, Box Group, and First Round Capital prior to its IPO.